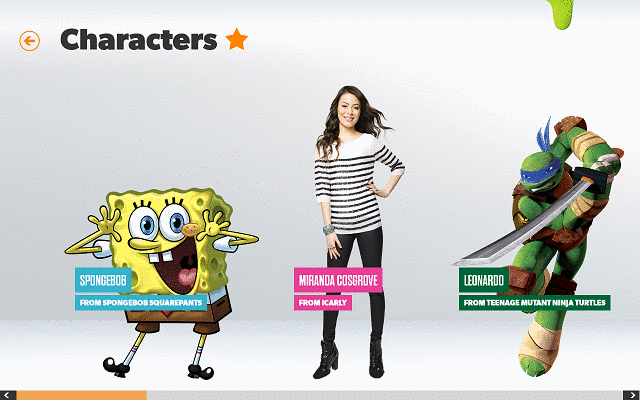 Nickelodeon is one of the most well known children portals both on the web and on TV. The little ones love it thanks to the great cartoons and shows it has. 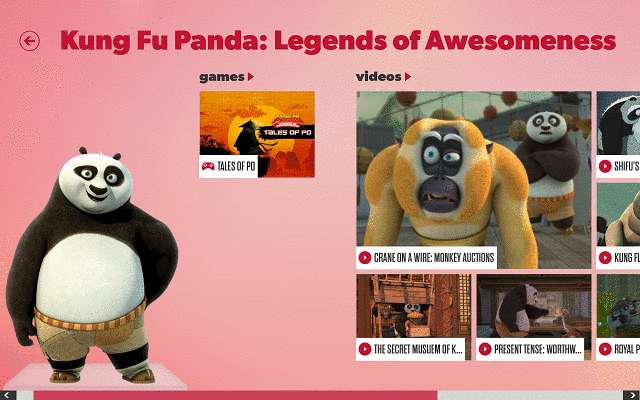 Also, on the web, the kids can enjoy games with their favorite cartoon characters. 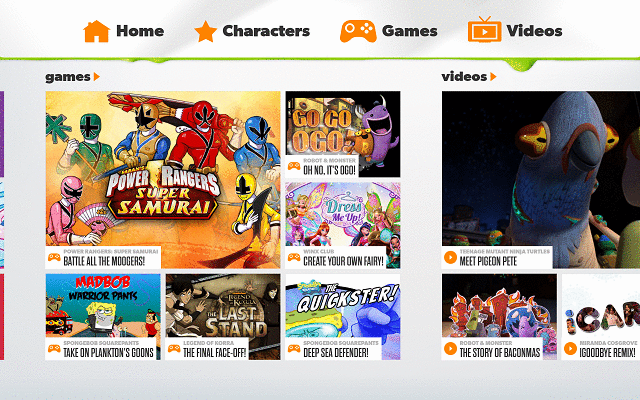 Also, the portal offers videos and other information about both characters and TV hosts for children shows. 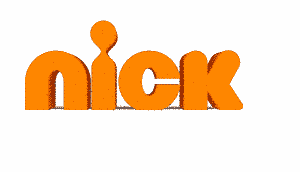 In short, all the entertainment a child could want is available at Nickelodeon. But why should the fun stop there? Of course the Internet is easy to access and with only a few clicks, anyone can get wherever they want, but there is an even faster way: via apps. In this case, we’re talking about the freely downloadable Nick app for Windows 10. Windows 8. This app is the official Nickelodeon Windows 10. Windows 8 portal, which users can install on their devices. With it, they have instant access to a host of content, from pictures, videos to games and news or information. The app features an already classic Modern UI interface, with a main menu containing the major categories. The user can scroll to the right and left to view each of these categories and upon opening one of them, they are greeted with a host of interviews or other content that might interest the little ones. On the technical side, the video streaming is very fast, and although videos are not too long, they have very good quality and they load in an instant. The pictures have decent quality, but where the apps kinda lets down is in the games section. 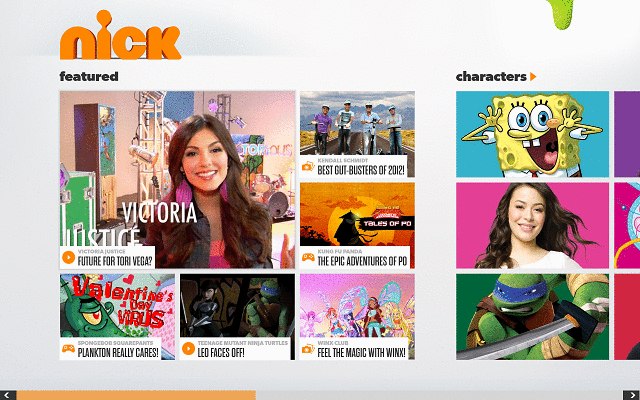 Although there are lots of games featured in the app, when trying to open one it redirects the user to the Nickelodeon website via the desktop browser. It would have been very nice to have at least some games built in the app, but maybe future updates will bring this feature. Apart from this, the app doesn’t have much more to offer. There are no settings that can be made and no sharing or search options either. We do hope that we will see there features in the updates to come, but for now, we can say that the app is great for kids who want to know more about their favorite characters and shows from Nickelodeon.